Dog ticks are one of the most unwanted pet parasites, and they can cause a host of health problems for your dog. In this article you will learn what the more common ticks are, the signs of ticks, and common diseases they cause. Most importantly you’ll learn the best ways to treat and prevent ticks on your dog with natural options. So what exactly is a tick? Well it’s a parasite that feeds on the blood of mammals, being attracted to your dog’s heat, and movement. The ticks are often found in brushy, wooded areas; they attach to your dog walking in the dense vegetation. Most ticks have 4 life stages ( egg, larva, nymph, adult), and during the adult stage they can lay up to 6000 eggs. Ticks need a blood feeding to progress to each stage. But they are extremely hardy, and can survive for years until a mammal comes by for them to attach to. The adult female tick feeds for 10 days, falls off, stays inactive in the winter, then lays all the eggs in the spring to continue the cycle. There are three common species of ticks found in North America. The tick of biggest concern is called the Deer Tick, or Black legged tick, known as Ioxodes Scapularis ( in the east) or Ioxodes Pacificus ( in the west). This is the tick responsible for carrying and transmitting Lyme disease. It is extremely small, not much larger than the tip of a pencil, making them difficult to find. The Brown dog tick, known as Rhipicephalus sanguine, is far more common and easier to identify.It starts out being small, red-brown in color, but when it has a blood meal and is fully engorged, it is very large, and a gray/green color. 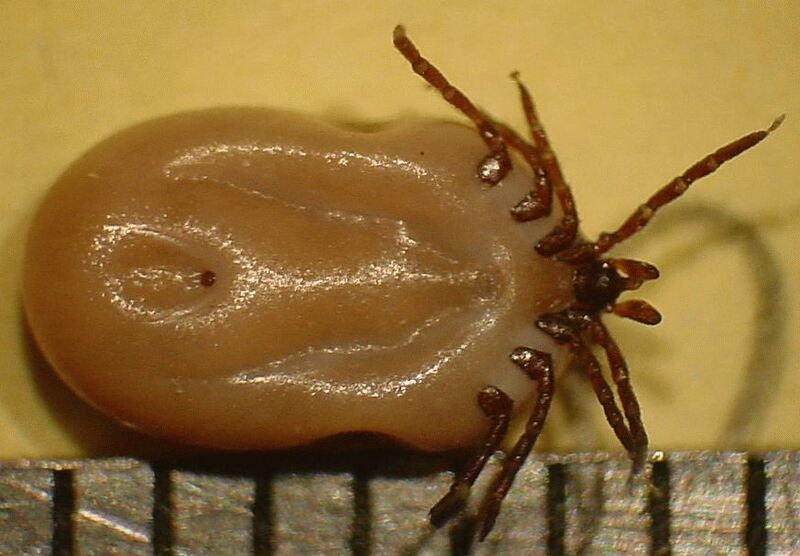 The American dog tick, known as (Dermacentor variabilis) or it’s cousin, Rocky Mountain wood tick, known as (Dermacentor andersoni , are hard shelled, brown, being about .5cm long. They can cause paralysis in dogs known as tick paralysis by releasing a neurotoxin into their hosts. The most common tick borne diseases in dogs are: lyme disease, canine ehrlichiosis, canine babesiosis, and tick borne paralysis. These diseases take hours to days to be transmitted to your dog, but the current topical insecticides do not always work fast enough to prevent transmission of disease. The signs of serious tick illness vary, but here are the bigger ones to be aware of: weakeness, tiring easily and pale gums suggesting anemia. Flu like symptoms, lameness, joint swelling, fever suggestive of lyme disease. Then there is a rapid progression of neurologic sigs, with turn into paralysis; in this situation your dog is unable to walk, and this is suggestive of tick paralysis. Tick treatment and prevention is very controversial, primarily as many of the common conventional pharmaceuticals can have serious side effects, such as the tick collar containing an insecticide called amitraz. It can cause lethargy, weakness, disorientation, vomiting, and if ingested, lead to coma and death. So what do you do to prevent and treat dog ticks naturally? First you’ve got to regularly check for ticks on your dog, especially after walking in the dense grasses, and during the peak times of infestation ( in the spring). Carefully look in the cracks and crevices, such as behind your dog’s ears. If you find a tick, you want to remove it immediately. Use tweezers, and grab the tick at the mouth parts where it is attached to your dog. Pull slowly, but firmly straight out, not twisting it, and if some of the skin comes off, that is fine. Clean the area with a disinfectant scrub ( such as chlorhexidine or black tea), and dispose of the tick being careful that you don’t touch it. Shampooing your dog with some of the holistic anti-tick shampoos can eliminate ticks. You need to look for shampoos that contain these ingredients: Neem oil, Eucalyptus and Cedarwood oil. Ticks are extremely resistant to most products, but these essential oils appear to have some effect on preventing their life cycle. A relatively non-toxic natural substance, has been shown to be effective in the eradication of ticks in dogs is cedarwood oil spray. I encourage you to be cautious in spraying excessive of essential oils on your small dogs. It is best to only lightly mist them; following that use a flea comb to spreading the spray. A cedarwood oil spray that I have had success with tick treatment in dogs is: Triple Sure Natural Flea and Tick Spray made by Natural Wonder Products. Keeping your grass short, and reducing the amount of dense vegetation around your home is one of the easier, and simple ways to lower your dog’s chances of getting ticks. Ticks prefer tall grasses, and low overhanging bushes while waiting for their next host to feed on. Regularly remove fallen leaves (leaf litter), and create a natural buffer by putting down wood chips between your lawn and the wooded areas to keep ticks away. Lastly consider discourging deer from coming into your yard, as the deer tick is the carrier of lyme disease; motion controlled water sprinklers can be very effective. Then there are the use of natural topical outside, such as Diatomaceous earth- it consists of the skeletons of microscopic algae. Spread the diatomaceous earth at the edge of your lawn, acting as another natural barrier preventing tick infestation. Ticks are a rather difficult external parasite to prevent and treat, but there are many things that you as an involved dog owner can do. There are a few very potent conventional tick medications, but concerns of side effects of these has lead many a dog owner to try some of the holistic options. These include common sense environmental ones, such as keeping the dense vegetation down, and maintaining a natural ‘tick’ barrier with wood chips. Lastly there are the specific shampoos, such as Neem oil, along with effective sprays containing cedarwood oil. I give food grade diamotaceous earth in my dogs food, what do you think about that? I have been doing this for 6 months and no fleas or ticks. I live in a very warm country and I have constant problem with ticks. I use a lot of tick medications, which I think will give side effects anyway. I will keep this article handy and try to get the products mentioned in here to use and see if there is a better help. My dog had Rocky Mountain Spotted Fever last May. He has never been the same, tires very easily. The way he moves suggests to me that he is hurting. What can I do or give my dog to help him. Don’t want prescriptions, prefer natural if posssible. Don’t want him in pain. @Deirdre: I am surprised that *feeding* diatomaceous earth would have any effect. It’s supposed to cut the outside of the bugs’ waxy exoskeleton, drying them out. Are you sure you just haven’t had 6 months of weather that didn’t produce fleas and ticks? Or that you’re not giving full heed to the actual symptoms? I used to second guess whether my dog’s scratching was allergies or fleas. It was finally proven to be fleas, when relatives found fleas in their houses after we visited them. Another interesting fact about the deer tick is that against popular belief the spirochete that produces lyme disease doesn’t come from deer at all….but from the deer mouse. This website gives information worth reading. And these rodents are usually very plentiful, even places where deer aren’t. I’ve never used chemicals on my dogs and have to hand pick the ticks off when we come inside. This year I’m using a product called Bug Off Garlic Granules by SpringTimeInc.com Their testimonials are very impressive so I’m hoping that this all natural product will help. It’s supposed to keep fleas, ticks and mosquitoes away. Last year I used an all natural topical called Sentry Natural Defense but still found an occasional tick. Dr. Jones I’d love to hear what you think of these products. Thank you. I live in Mid-coast Maine, we seem to be the tick capital of the known world. We pick them off the dogs, off me, and my husband a few times a day. Basically whenever we step outside the house. We have a flock of chickens and guinea fowl running loose which should help but not sure anymore. We have the same problem where I work. Step out the door and walk under the tree to go the parking lot and you sometimes get a tick. I have picked off both deer and dog ticks off all of us. We have tried natural and chemicals nothing seems to repel them or kill them. They have a vaccine for Lymes for the dogs, should we do that? My husband and I have both been on the antibiotics for Lymes last year when we had symptoms from tick bites. We live on a large rural property so there are lots of deer and many other mamals co-habitating with us. Any suggestions?? Thanks for the articles they are a great resource for me! Thanks for a great e letter!! A question about tick control. How do you feel about sprinkling Diatomaceous earth directly on the dog and brushing? (I have chihuahua and min pinscher. This is a bit off the topic – do animal vaccine serums routinely contain heavy metals and toxins like mercury, squalene, formaldehyde, aluminium etc, the same as human vaccines?? Great website and glad to be on your list! I’ve been following you for years and appreciate the always good info. Just want to warn everyone I can about a product I tried last year, called Defy the Fly. It was advertised as safe and natural, but do not believe it. My Rottweiler almost died and she only wore the collar for 2 hours. It obviously has toxic stuff embedded in it. It was touted as an all around pest deterrent, including ticks. I wrote to the company and they ignored me. I have better results with DE… diatomaceous earth. I sprinkle it directly on the dogs and comb it in. Also sprinkle it anywhere they lie down, in the house or in the yard. 18 months ago I found a tick on my dog,it must have been feeding for days it was as big at a baked bean. He was on antebiotics for a month. He has hydro twice a week and when he went of his legs completly he started accupunture, the nerves started coming back slowly first in the tail, then backlegs. Hes had load of vitimins and minerals, steak, chicken, eggs, fish and fruit & veg. Hes in wheels4dogs and he loves walking still he is such a happy dog, it is awful that such a little thing could do so much damage. I have 2 golden retreivers, and I have found a combination of Brewer’s Yeast and Garlic (capsules, cloves or powder) when added to the dog’s food is extremely effective in repelling ticks. We used to live in Yarmouth County, Nova Scotia on 60 acres of field and forest where my dogs roamed free all day long. In the evenings, I found myself routinely picking 10-20 ticks a day off my dogs during the summer months. I refused to use pesticides and in desperation, I tried this old natural remedy for fleas, although my dogs had never had fleas. Hallelujah!! It worked like a charm, and although we live in the city of Halifax now, I continue to add these to their food. After using this additive for 10yrs, both dogs have been tick and flea free! Great to hear about your natural remedy for ticks. I live in the foothills of the Sierra Nevada in California, and my Malamute is a tick magnet. Could you share how much of the yeast and garlic you give your dogs. I will probably use garlic powder. A very informative article, now i know what to use for my pet dogs. Ticks really bothered me and consumed time during weekends with my pets. Thank you very much for the information. I would also like to know you combination amounts with the yeast and garlic. My dogs itch so bad. They look like they have little white bumps on there skin. Springtime Garlic tablets for dogs work great, and my dog loves them. He thinks they are a treat. A friend of mine told tea tree oil I applied about 0.5 ml to back of neck. So far it seems to be eliminating fleas on my six small dogs (under 10#). I am not sure how much or how often, but it seems to be safer than the chemicals in other flea control drops. Do you think this will also repel ticks? It is almost tick season here in California (Stanford University area). I guess I will know about that soon enough. 1 part Apple Cider Vinnegar to 10 parts water, sprayed on the dogs before they go out. I look forward to your newsletters in my inbox, and even have a page on my site linked to your site to share your valuable information. Recently I read on a tick removal product called Tick It Away that you should not use tweezers as the toxins from the tick may be squeezed into the bloodstream. I have a yorkie that is about 8lbs. Friday I found a leach on him. I don’t think it was on him for more than 10 minutes. Now he is acting strange. Does not want to go outside and do his business. Also wants to lay around alot and he is usually very active. Do leaches cause any kind of illness and what can I do for him? Thanks for your time! I dont see anything on this in your website. When i worked at the rescue animal shelters (in Spain) lots of dogs came in that had brown dog tic (rhipicephalus) & we were always told to twist the tic as it was pulled out or the part left in could cause an infection. If my dogs at home had a tic I used to put on a dab of Gin & in no time they were easily taken out. I feel so sorry for many of the dogs here in Spain that are left chained up at fincas where the owner often only comes at week ends, they have no treatment against parasites & have a tin barrel to live in, boiling in summer, freezing in winter & the barrels are often split & rusty. Neem oil is not easy to obtain here, shame cos I think it is brilliant, but do have lots of Aloe Vera growing in my garden. In Jamaica, we have the same tic problems as elsewhere. What works well is treatment with IVOMEC, a cattle treatment. Once a month, ,1cc/ 10 lbs of body weight. 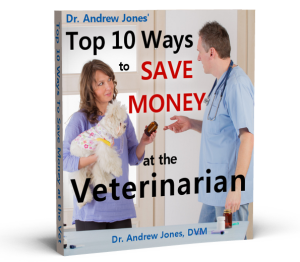 It is mainly for heartworm prevention, but it does wonders to keep the tics off too. – Useless. D.E. is a contact toxin for insects. Useless as an internal medicine.